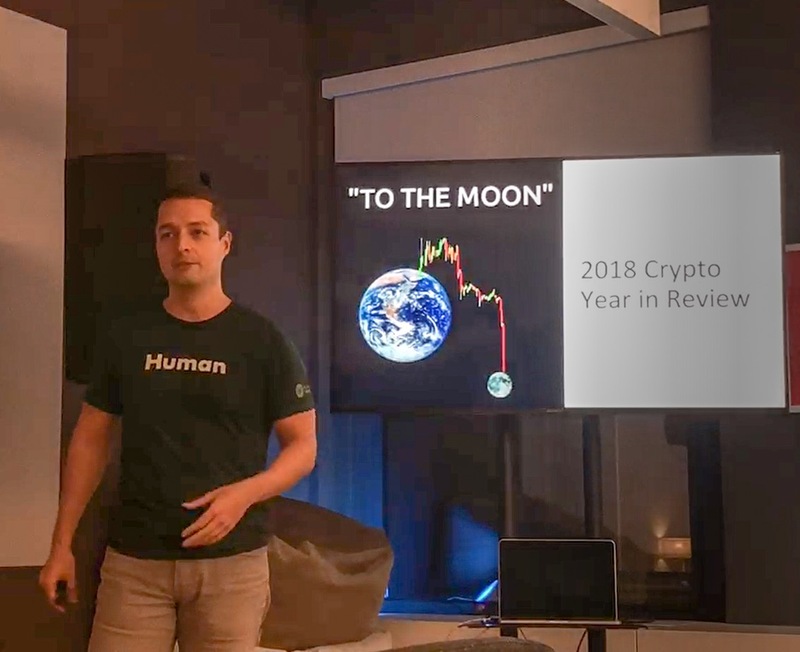 Last Thursday, I gave a presentation at Human Ventures’ weekly internal happy hour, which serves as a time for everyone in the office to come together to hear about a specific topic as well as an opportunity for everyone to catch up. First, let me preface that what follows is based on my fascination with the art of investing and the human psychology that plays a massive role in decision making. Given this, I naturally chose to address a timely topic in the crypto world, that of recent falling prices and calls of capitulation in the market. Hilarious infographic. Well done, CNBC. 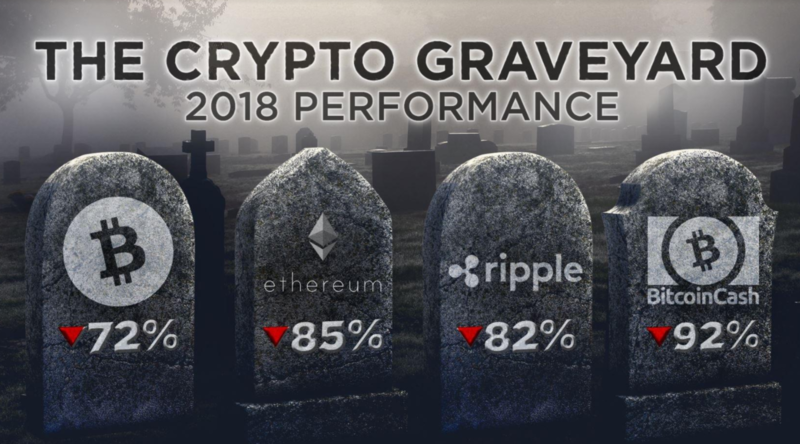 If you ask the mainstream media or investor their thoughts on the market, you’ll likely get a heavy dose of “Crypto is dead!” In reality, crypto has been declared “dead” at various points in its history as shown by the bitcoin price graph below. As with any nascent technology, it should be no surprise that it is going through boom and bust cycles. It just so happens that with crypto, there are financial assets tied to the future adoption of the technology and they are investable by anyone with an internet connection (so each cycle gets rapidly played out in the public eye). These volatile cycles aren’t inherently bad – in fact, the attention each successive cycle generates brings in more talent than the previous, and with each wave the likelihood that mass consumer services are built on top of blockchain technology increases. Unfortunately these cycles also cause pain for many that invest – but for those who have a long time horizon and have high conviction that mass use cases will emerge from the technology, short term price fluctuations should not matter as much. I am one of those who believe it is a matter of time before the appropriate infrastructure gets built out to enable broad consumer use cases. Below I outline three important secular trends that, in my opinion, suggest that cryptoassets are here to stay. The growing influence and subsequent misuse of data that Big Tech has enabled is inspiring a growing “techlash” against the Web 2.0 behemoths that are harvesting by far the most amount of data on consumers ever assembled. Consumers are slowly realizing that it may not be worth forking over their data into perpetuity in exchange for a “free” service whose business model is predicated on dominating one’s attention. Additionally, the data silos that have been built out are enabling virtual monopolies of the internet and making it tougher than ever for startups to compete. Blockchain will one day allow every consumer to take control of their data, selectively disclose it if the user chooses, and potentially make money by doing so. Additionally, decentralized protocols will do away with the platform risk that stifles anyone trying to build on the platforms provided by Big Tech today. Baby Boomers, the largest generation in the US, have begun to pass down an estimated $30 trillion to Millennials, in what will be the largest wealth transfer between generations in history. This is significant since Millennials and younger generations are more tech savvy than previous generations. Growing up, I vividly remember dialing up to AOL for internet access and spending countless hours playing Civilization and Command & Conquer. These early experiences had a strong influence on how I view tech’s emerging role in society. Over the long-term, I believe this will play out on a large scale as it pertains to scarce digital assets. Younger generations are and will continue to be more likely to embrace the idea of digital assets, and with more wealth at their disposal, I believe this will be reflected in the market. 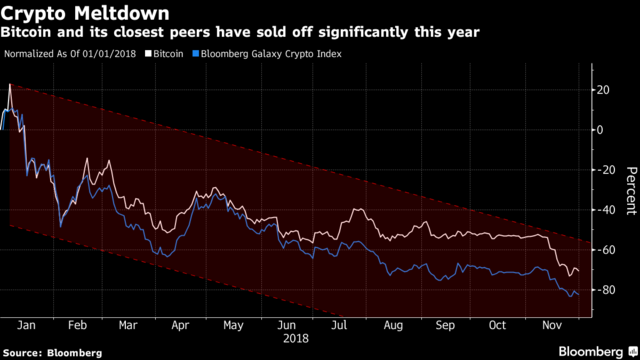 Studies have been done to compare the price movements of Bitcoin, which has the longest track record by far of any cryptoasset, with other traditional asset classes. So far, it appears the Bitcoin demonstrates minimal correlation. As shown in the table above, Bitcoin’s price movements have shown almost no relationship to that of other asset classes over the past five years. This is an important characteristic for anyone that has investable assets – portfolios with a mix of uncorrelated assets tend to deliver better risk-adjusted returns than those that are under-diversified. 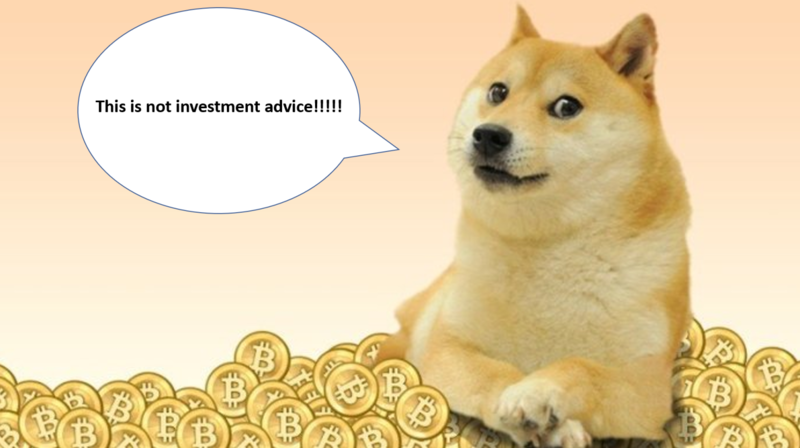 I’d be remiss if I didn’t mention that anyone considering investing in crypto should do their own research and develop their own conviction before investing any money (and if you do invest, don’t invest more than you’re able to lose!). What I’ve covered above is not investment advice, but is merely meant to show the role that behavioral factors can play in the world of investing. Be careful out there.